In the aftermath of the Venezuelan municipal elections one thing is clear to our reporter. This may have been the worst-attended vote in the nation's history. Euronews visited no less than 10 locations in Caracas. We saw plenty of Chavist activists asking for people's personal information before voting. The Chavists were asking people about their "Carnet de la Patria", a document which is needed to get several social benefits such as food and medicine. Activists of the regime were just a few meters away from the polling booths campaigning for the Chavist candidates. Chavists would also mobilise to swoop on opposition boycott protests. Soldiers did not intervene. We saw hundreds of activists on their motorbikes moving from one place to another whenever the opposition tried to organise a protest. Despite the electoral cooling-off period ahead of the vote, our crew continued to get SMS messages encouraging them to vote Chavist. We asked for a response from the government to these and several other questions, but no-one in the Chavist administration was forthcoming. Voting for mayors in all of Venezuela's 335 municipalities was the last national elections before next year's presidential race, in which President Nicolas Maduro is expected to seek re-election despite his profound unpopularity. There was also a fresh election for the Zulia state governorship because the winner of the last elections, only 4 weeks ago, refused to swear an oath in front of the Constituency Assembly and was "disqualified". In total there are 19,714,000 voters. The government is claiming a very high turnout. Where were they? "The biggest mistake was to have lost a united opposition. To have started fighting each other. People thought unity was the key to victory. Our leadership was not able to tell people what was happening. Instead of talking to the people, they hid behind the people calling for abstention just like in 2005 and 2017," says opposition candidate Kico Bautista. 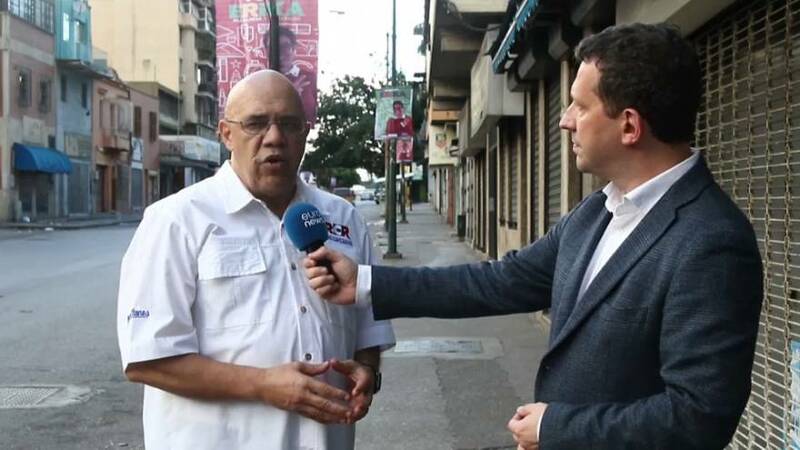 "Some are saying Kico withdrew his candidacy for Baruta Mayor - Kiko said "lies were never the weapons of those seeking change"
Euronews had problems filming and interviewing people. The former secretary of the opposition coalition Jesús "Chuo" Torrealba was provoked by chavists taking pictures of him when he voted. The chavists stopped us from shooting and threatened Torrealba. "This is a catastrophe. If we want to solve the Venezuelan problem in a peaceful way, this must be done with huge popular participation. Here, today, the right to express yourself was attacked. On one side the government has committed frauds, taking away the right to vote from the citizens, and on the other hand the opposition was fractured, incoherent and the citizens didn't trust them either," he railed. "It's yet another election in Venezuela, but this time the people seem to no longer believe in the electoral process. We saw very few people voting, and polling stations empty, despite what the government says," reports euronews' Alberto de Filippis. The elections took place against a backdrop of soaring inflation, shortages of food and medicine, and charges that Maduro's government has undermined Venezuela's democracy by imprisoning dissidents and usurping the powers of the opposition-controlled National Assembly. Maduro points finger at Colombia and the U.S.